Frogs just can’t catch a break. First there was pollution, then amphibian chytrid fungus, then global warming. And now: road kill. 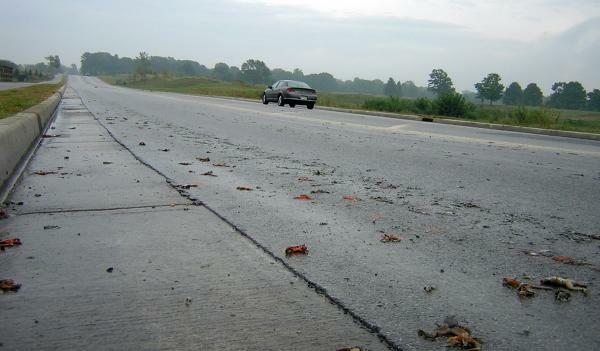 The dead included 142 road-killed eastern tiger salamanders, a finding DeWoody said was troubling.